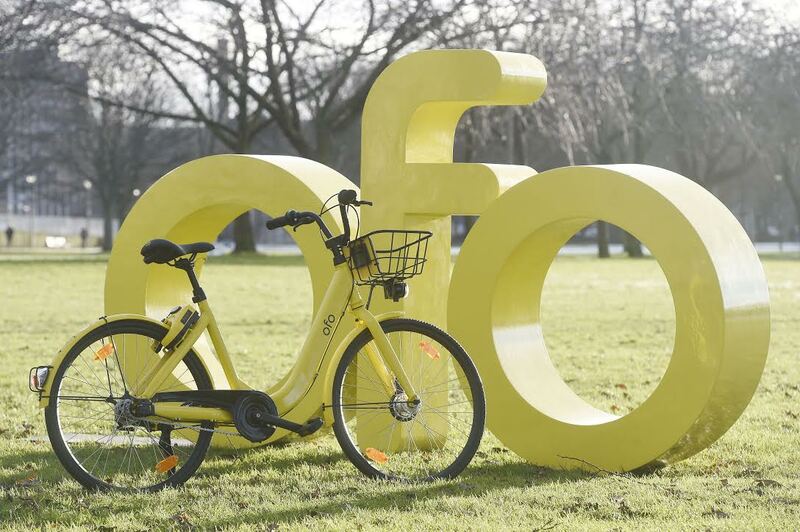 The world’s first dockless bike hire scheme, ofo, is to expand into Leeds following its recent roll out in nearby Sheffield. Senior councillors assessed and approved ofo’s scheme at Leeds City Council’s executive board on Wednesday (7 February 2018), following discussions with several other bike share companies. ofo will now begin preparing the grounds for a launch, working with the local authority to determine bike numbers and hub locations. Although it will initially run in the city centre and surrounding areas, if successful the aim is to expand the scheme further into the suburbs and nearby towns as quickly as possible. All ofo’s eye-catching yellow bikes in Leeds will be free to hire for the first two weeks and ofo requires no deposit. The scheme is expected to provide a massive boost to transport options in Leeds – the largest city in Western Europe with no mass transport system. Leeds residents will be able to hire a lightweight, three-speed bike with the press of a button via the ofo smartphone app, ride it anywhere in the city and lock it again for just 50p for a 30 minute journey. The entire fleet will be fitted with bright dynamo front lights, solar-powered rear lights and a handy front basket. The bikes will also have a hydraulically-adjusted seat so riders of all heights can get comfortable in seconds. “We’re thrilled to announce that ofo will be coming to Leeds – giving residents more fun, healthy options to get around the city for work and leisure. “I am really pleased that we are now in a position to move forward with the introduction of a public bike hire scheme in Leeds. The bike sharing scheme is the first of its kind in Leeds and will offer greater transport choice. ofo is committed to getting people cycling and will be providing Bikeability training to encourage new and lapsed riders to try the scheme and ride more often. ofo is the first station-free platform operating in the UK to be awarded accreditation by Bikeplus, the UK representative body for bike sharing. A Living Wage employer, ofo also engages with the cycling community, and works with local bike shops to maintain its bikes. The scheme will be ofo’s second launch in Yorkshire after it expanded into Sheffield in January, and follows roll outs in Cambridge, Oxford, Norwich and London. The scheme is already used by 200 million users in over 20 countries to make 32 million trips every day. You can read our review of the ofo bike system here. Social Dating: What is it? and should you be doing it? Car review: DS 7 Crossback – the latest word on French luxury?